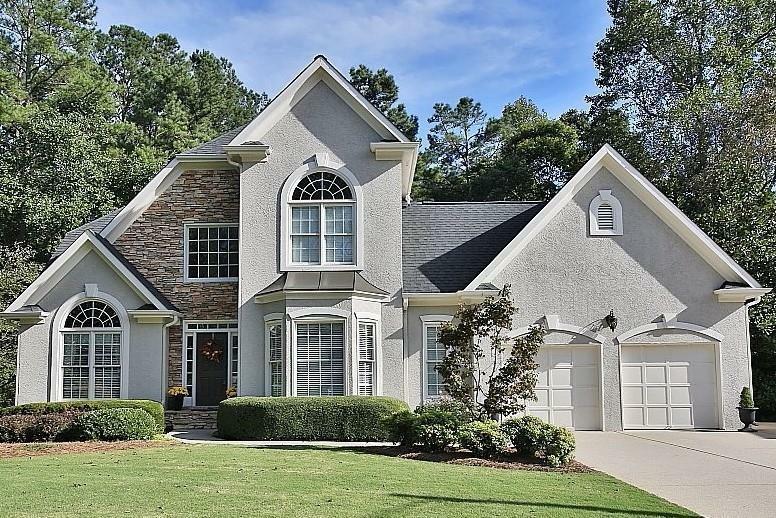 Custom Built Executive Home on Almost an Acre, Located in the Heart of West Cobb. Open, Bright & Features Formal Living/Dining, Large Kitchen Opens to 2 Story Fam Rm. Breakfast Area. Owner's Suite on Main w/Recently Updated Luxurious Bath. New Kitchen Granite, Sink & Backsplash. New Palladian Window, New Int & Ext Paint. Private Screened Porch. Large Secondary Bedrms. New Deck Flooring. Finished Bsmnt w/Room to Add In-Law Suite. Tons of Storage. Some of the Best Schools in Cobb Co. Meticulously Maintained. Hardcoat Stucco. Want a Nice, Large Yard? This Home is For You!